Animal Behavior Problems: Are You the Cause or the Solution? You are here: Home / Cats Behavioral Problems / Animal Behavior Problems: Are You the Problem or the Solution? Animal Behavior Problems: Are You the Problem or the Solution? 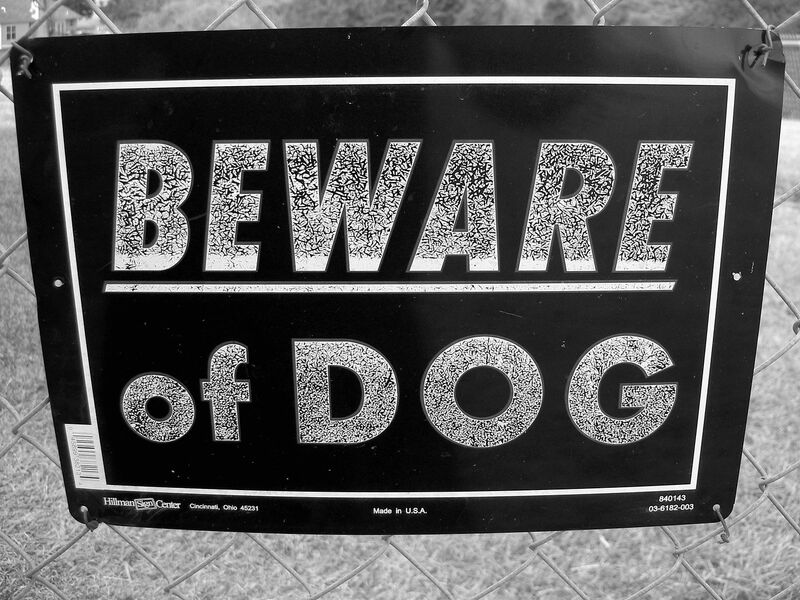 Above: Should this Sign Say Beware of Dog or Beware of Owner? Animal behavior problems are not normal, they are a sign of imbalance within a pet household. Seriously, most animal behavior problems could be easily dealt with if people knew how important it was teach an animal what is appropriate for life in the human household. Sure there are exceptions, but notice I wrote teach not train. Coming from a wild animal training background, I was amazed and appalled at all the weird stuff I saw when I first began working with the pet owning public and even more shocked at what I encountered in the companion animal training world from the so called professionals. It was dark ages stuff compared to what we were doing with marine mammals and wild animal actors. What shocked me even more was how people got mad at any suggestions of better ways to do things and the resistance they had to change. Go figure. I used to believe people really wanted the best for their animals but what I discovered is that most really want is what is easy instead. Now I hate to tell you that I still hear and see a lot of the same crap I did when I first began working in the pet industry twenty-something years ago, but I do. And the crap comes from both pros and average pet owners. A lot of pros perpetuate a bunch of hooey when they should know better or refer over to those who do know better. For instance, I recently saw bad information being shared in a forum by pet professionals. They made some poor suggestions about using outdated training tools. 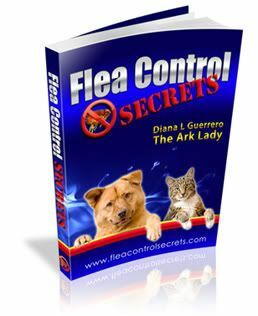 So, I have to ask you–are you the problem or the solution to the animal behavior problems you see within your home, out in public, or at places such as the veterinary hospital? I hate to break it to you but if you are not the solution, you are probably the reason for the bad behavior your pets exhibit. Most pet owners don’t consider bad behavior as naughty either–and instead make excuses for it. For example, I recently had someone tell me that her dogs were thieves and that it was in their nature. I said, Are you kidding me? The problem is not that her dogs are thieves but that they were allowed to engage in the behavior and nothing has ever been done to stop it or to prevent the problem EVER. In this case the issue is counter surfing–a behavior where the dog(s) will grab things off of the counter in the kitchen or elsewhere. The reality of the situation is this, if animals are allowed to engage in behavior that gets reinforced (ie., get on the counter and get a tasty bit of food) the behavior is going to increase. Plus, if that behavior is reinforced on a variable schedule (occasional success) it is more strongly reinforced and that behavior is going to continue and even escalate. Now, the fact of the matter in this case is that these people are not consistent in how they manage their animals–nor do they consistently monitor their animals. Diligent management of animal behavior results in consistency and good behavior patterns. Over the years my animals would never steal from the kitchen. In fact, they all (cats, birds, dogs) knew the phrase, “out of the kitchen” quite well. So, the owners of the counter surfers who grabbed and stole a package of plain flour tortillas (and took a big bite out of them) are in fact the cause of the behavior problems they hate simply because the humans do not deal with it and don’t prevent it. I’d love to say that they are the exception rather than the rule but I would be telling a whopper of a lie. In fact, dogs that bark excessively, dogs that jump on company, dogs that act unruly out in public and engage in other canine crimes are often undisciplined and uneducated animals. Believe it or not, dogs have to be taught to bark appropriately. How about teaching a perimeter bark, a close proximity bark or to stop barking when told? Instead of dealing with the issue, people tend to say, “Oh, it’s okay he is just a puppy” or worse, they tune it out and are oblivious to the noise. Ask the veterinary staff who hear this excuse all the time. It certainly is not okay and a lot of aggression could be stopped at a young age if people didn’t make excuses and instead dealt with the problem. The news is, if you engage in excuses for your pet, chances are that you are co-dependent. The reality is that teaching good manners starts the minute the animal comes into the home. Why do people choose to allow cats to tromp on the counters with the same feet they use to cover their feces with litter box sand? I will never understand that one. Mine have never been allowed on the counters–but then I had training about zoonotic diseases way before most people knew the term. In addition, I would never allow pets to demand I feed them by clawing, meowing or waking me up at odd hours simply because they decided it was time but a lot of people do allow it. Perhaps it was because I started my career with big exotics and working with animals who lived in other environments such as water. I learned how important it was to take control of behavior at early stages out of necessity. That discernment could mean the life or death of someone. Also, it was clear to me that a tiger cub of twenty pounds was not going to be allowed to crawl onto a lap when he or she wanted. Why? Because when that cat is 400-500 pounds that behavior will not be acceptable. Why would I set an animal up for future failure or trouble with another trainer? I wouldn’t. Instead I would train and manage behavior from the early stages to make sure that animal was happy, healthy and well behaved for the future. So excuses are just that–excuses. What you need is action and perhaps guidance. I’d encourage you to get it early and start teaching your animals at a young age. By the way, if you start early you won’t have to untrain all the bad behavior in order to get better behavior in the future. The reality is that if you do it right the first go around, life will be easier in the long run. And probably more peaceful too. Your tortillas would certainly be safer on the counter as a result. You took the words right out of mouth on a lot of the issues you mentions. I really enjoyed reading this. Hey Tori, thanks for stopping by for a visit. Yes, I’ve been discussing some of the main issues I keep seeing. Hope you’ll be a regular reader and join me over on Twitter and Facebook since I share a lot of different things in each online world.